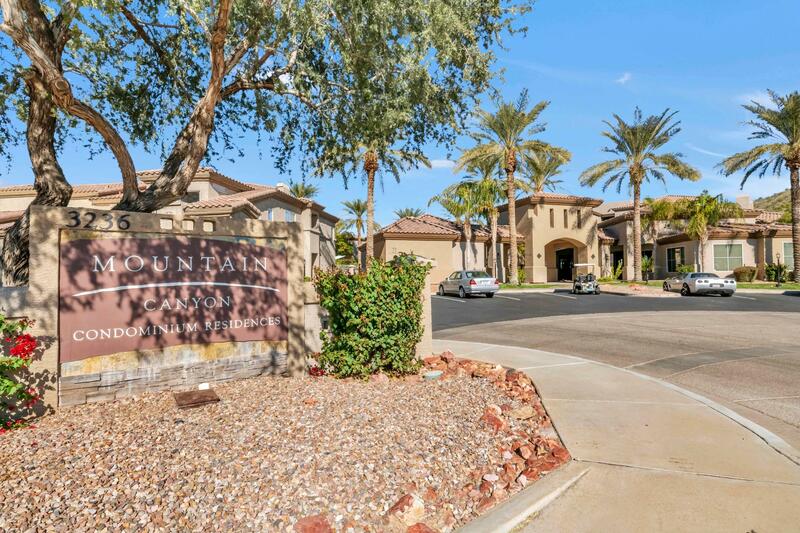 Stunning Mountain Canyon community in Ahwatukee! This cozy move in ready 1 bed, 1 bath packs a punch with all of its features, one being Travertine tile through out! Spacious living area is perfect for entertaining, a kitchen with great cabinet space along with Breakfast bar too, plus great private patio! The master bedroom is large with a huge walk-in closet, spacious Master bath with dual sinks & tiled surround in tub/shower. Enjoy all the features of the community such as 2 pools, fitness center, walking trails, hiking trails all nestled in between the beautiful mountains. Located near freeways, shopping, restaurants and so much more. Top rated public schools too!